Page first released 18:00 GMT 12th January 2010. This version is 1.2 dated 09:00 GMT 15th Jamuary 2010. Between 1980 and 1991 Derek worked for the data processing arm of British Telecom, specialising in the design and operation of very large databases and management support systems. 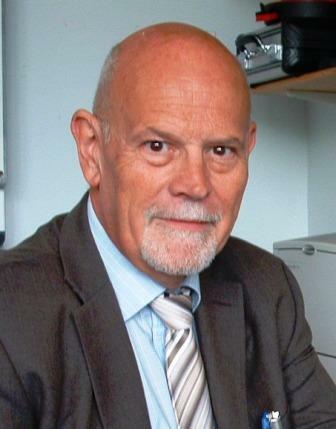 Between 1991 and 2010 he lectured in cognitive science at the University of Wales Institute, Cardiff (UWIC), specialising in the cognitive neuropsychology of human communication. His research interests include the nature of biological memory mechanisms, the evolution of the mind, Heideggerian Dasein as a problem for semantic network designers, and the use of computer animation and Internet technology as teaching resources. His consultancy specialisms include IT project assurance, business analysis and modelling, and the design of high-impact learning experiences in both academic and organisational settings. He is also the Chief Designer on the Konrad artificial consciousness project and the founder of the Smithsrisca brand of academic e-content. The "Cog Neuro" module has been at the theoretical heart of the Speech and Language Therapy syllabus ever since 19th century neurologists first noted that there were consistent associations between the location of a particular brain trauma and the resulting communication difficulty. It is the science (a) of how a communicating and thinking mind occupies a brain, (b) of how damage to that brain systematically degrades what its resident mind can still achieve, and (c) of the planned clinical rehabilitation of that mind's residual capabilities. Cog Neuro is thus the science of adult afflictions such as stroke, dementia, and Parkinson's disease, as well as of paediatric problems such as autism and specific language impairment. "Cog Neuro" is also the key to effective remedial pedagogy, especially where the all-important skills of literacy and numeracy are concerned. It is simultaneously the science of perception, conceptual understanding, and procedural skill in both the word and number domains, and therefore a rich source of insight into how best to structure learning experiences in these areas. So if you want to know what word or number blindness really involves, or why the nation traditionally finds it so difficult to raise its children's literacy and numeracy skills, this is where to look. "Cog Neuro" is also the key to understanding the psychology behind stock market investment, especially where relatively inexperienced investors need to separate the few reliable facts from the many surrounding fictions. It is the science of seeing through the financial disinformation industry, of spotting all the downright lies and false inducements, the rampings and the shortings, and all the other little tricks of that trade. In other words, it is the science of critically objective decision making in an arena where to listen uncritically can prove extremely damaging to your bank balance. So if you have ever invested on a highly plausible rumour only to see the value of that investment suddenly plummet, this is where to look. Although it's still a bit of a buzzword, "neuromarketing" is already one of the most valuable applied scientific developments of the 21st century. Put simply, it is the multidisciplinary study of the relationship between an organisation and its customers. It is customer awareness, requirements analysis, product definition, and branding (to name but a few) all rolled into one, and it earns its keep by bringing everything back to the inescapable biology of the people involved. In other words, it is the science of the Wow Factor in customer relationships, and - when you get it right - it could make your company very rich. Konrad is a mainframe software product modelling the end-to-end flow of biological cognition, but with a special focus on the semantic network nature of the mind's long-term memory systems. It has been designed to offer clients a simulation test-bed, complete with detailed print-out, on which they can test hypotheses as to mental function which could not be tested in living subjects. The Smithsrisca online resource is an encyclopaedia of cognitive science and mental philosophy which cross-references a large body of multi-disciplinary knowledge in these sometimes obscure areas. The material in question has supported the author's undergraduate teaching since the early 1990s, and is organised to support random browsing. To access this material, simply add the keyword <smithsrisca> to your regular browsing.